Box-shaped and spacious main compartment. With the bag's wide opening, you can easily stuff your stuff in there with ease and if you need to dig deep, you can actually get to your stuff without having to unpack every damn thing. We've all been there: looking for something in the black hole of your backpack and not finding it... this bag, I promise you, will give you what you are searching for! Side pocket design. It's not just the main compartment that gets 5 stars, but also the clever design of the additional easily accessible side pockets. The nifty deep pockets can be used to place items such as power banks, Go-Pro's and most importantly, hiking snacks. 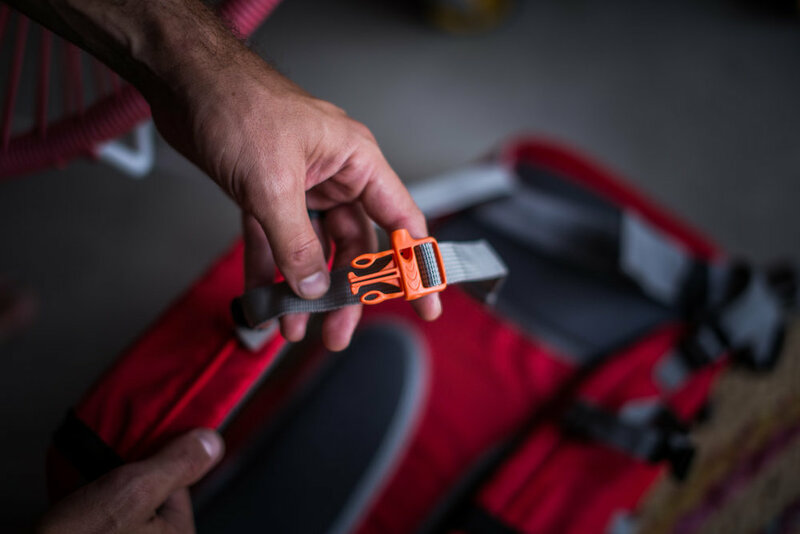 There are also compression straps which can be quickly tightened/loosened for holding additional equipment such as tripods and water bottles. Top bungee cord system. Most bags have the bungee system on the front of the bag, the traditional way of additional storage. The K-Way 40 Lite however, moved it to the top of the bag, which I found easier to access. Interestingly enough, you can even strap in you sleeping bag or blow-up mattress in between these cords and in so doing offer some neck support during those long hikes. Good to know! Build-in whistle. One of the coolest, out-of-the-box touches is the addition of a whistle to the actual plastic clasp. So should you ever need to blow the whistle, this bag provides one. Love it! The K-Way Lite 40 Hiking bag is pure bliss. It's functional, technical and all round clever design: a must have for any explorer. This is definitely a hiking backpack that I will recommend for any hiking enthusiast. The only feature missing is a built in rain cover (but these are more common for the multi-day hikes and found in the larger +60 liter hiking backpack, like the Pioneer 65 - see feature below). 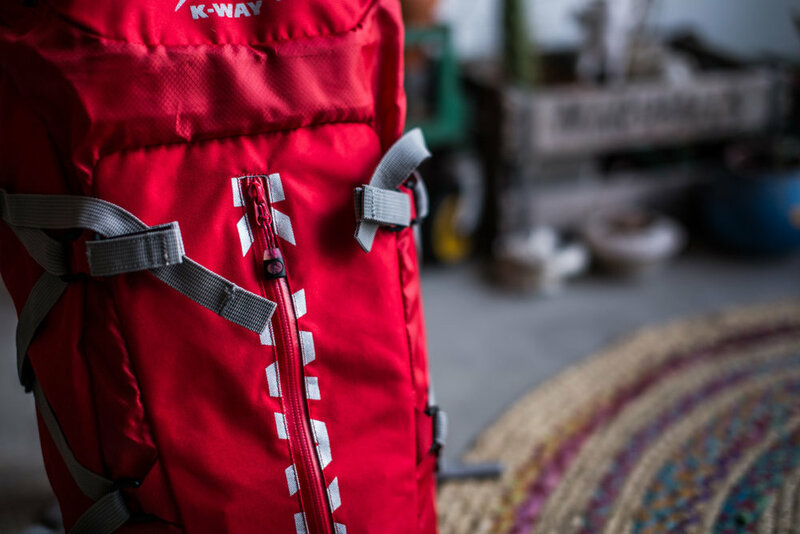 If you are looking for something bigger and more technical, then take a look at the K-Way Pioneer 65 Hiking backpack - it's the ultimate multi-day hiking bag with more than enough space and compartments for a long technical expedition. Review coming soon....watch this space! Below are some photos from our one of our adventures with the K-Way Pioneer 65.